When did Christianity begin to spread? The cross-shaped marble baptistery is one of the recent archaeological discoveries at the fourth-century church in Laodicea that shows just how old Christianity is in Turkey. There was already a well-established Christian community here for hundreds of years by the time this magnificent church was built. Photo: Dr. Celal Şimşek/Laodikeia excavation. How old is Christianity? When did it stop being a Jewish sect and become its own religion? As reported in “Crossing the Holy Land” in the September/October 2011 issue of Biblical Archaeology Review, new archaeological discoveries of churches are crucial to helping answer those questions. But when did Christians begin to build these churches? Early Christian gathering places are difficult to identify because at first Christians met together mostly in private homes. Even as Christian populations grew, distrust and persecution by their Roman rulers forced the early church to stay out of the public eye. In early February 2011 the Israel Antiquities Authority (IAA) announced some Biblical archaeology findings, including a large Byzantine Church at Horvat Midras southwest of Jerusalem. The structure, which was used as a church in the fifth–seventh centuries, was among many recent archaeology discoveries at the site and was located inside an earlier Jewish compound. The highlight of the basilica is the mosaic carpeting. The colorful geometric patterns and images of fish, peacocks, lions and foxes are rare in both the level of craftsmanship and the state of preservation. 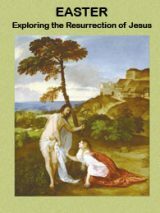 Check out the BAS book Partings—How Judaism and Christianity Became Two. Never before has this multi-faceted process been documented so engagingly and so authoritatively by so many eminent scholars. But how old is Christianity’s presence in Turkey? Given the importance of Asia Minor to the apostle Paul and other early followers of Jesus, it should come as no surprise that a church from the fourth century was among the recent archaeology discoveries there. Turkey announced at the end of January 2011 that a large, well-preserved church had been found at Laodicea using ground-penetrating radar. According to the excavation director the church was built during the reign of Constantine (306–337 A.D.) and destroyed by an earthquake in the early seventh century. Laodicea is mentioned several times in the New Testament, in both Paul’s letter to the Colossians and the Book of Revelation. Paul’s letter suggests that Laodicea had a very early Christian community. A bishop’s seat was located at Laodicea very early on, and it remains a titular see of the Roman Catholic Church today, although the city is uninhabited and the bishop’s seat has been vacant since 1968. In 363–364 A.D., clergy from all over Asia Minor convened at the regional Council of Laodicea. It is possible that the recently discovered church is the very same building where Asia Minor’s clergy met to hold the influential Council of Laodicea. For more about these and other recent church discoveries, read “Crossing the Holy Land” by Dorothy D. Resig in the September/October 2011 issue of Biblical Archaeology Review. This Bible History Daily article was originally published in October 2011. 1. “Asia Minor” is a GEOGRAPHIC name for a particular land area consisting of the sub-areas: “Anatolia”, the “Levant”, and the “Arabian Peninsula”. 2. “Turkey” is the POLITICAL name for the country that covers Anatolia. 3. However, for centuries, the term “Asia Minor” has also been used commonly to mean “Anatolia” geographically. So if you are referring to the geographic area where the POLITICAL entity is located, the precise term is “Anatolia” but the common term “Asia Minor” is also used. Last, since the vast majority of humans are geographically “illiterate”, it is easier to use the political “Turkey” to mean the geographic area Anatolia/Asia Minor. Wrong correlation! The legal construction of church buildings has nothing to do with the spread of Christianity. There were no school buildings, no college buildings, no court buildings for very long periods. Teachers taught outside, courts met in the city gates. Synagogs were widespread long before they started building special structures. The Seljuk Turks began migrating into the area in the 11th century, starting the process of Turkification, which was accelerated by the Seljuk victory over the Byzantines at the Battle of Manzikert in 1071. Clearly the writer does not know history. The person who wrote about the Church should find out its etymology: church in Hebrew means ‘congregation’ or ‘gathering’. It stems from the aramaic word ‘Knisja’ (excuse my spelling) or Knesset. I would rather see discussions related to the notion of ‘sacred’ and how it differs from profane or secular!. And then further talks about how the thought of facing the inevitable – being deceased – is forcing the thinking creatures to come up with some ‘brilliant’ ideas as undying soul and living in ‘stately’ places in the another World’!, There is nothing messed up about this!. Human life, at best is a tradedgy not matter what you do. Hence we decorate our lives while alive with ‘religious paraphernalia’. I do not mean offend anyone. That’s the bare truth to me. I made a grammatical error. I write it again. “Asia Minor’ is Turkey. Contextualizing it in a ‘Crusaders mentality’ as ‘Asia Minor’ is a self serving bigotry and prejudice. ‘Asia Minor’ is Turkey. Contextualizing in such biblical manner ‘Asia Minor’ is a self-serving bigotry and prejudice!. Why don’t you delete out the nonsensical statements that people post here? RELIGION is the BANE of the human race. So many ignorant people have been KILLED in the name of SOME religion, ANY religion, take your pick. If some god (lower case intended) or beings (probably, more likely, intergalactic aliens, as they do in fact exist, just ask you own gov’t, lucky if you get an answer though) needed or liked a means of population control, then BAM, this “being” is brilliant for instituting this grand idea of religion. Same goes for any contagious virus. Let a virus go for awhile, let war for ANY reason go for a while. Let it run its course to control the human population on this planet. The aliens will be pleased enough to not intervene with our way of existence. Google – Dr. Greer, Disclosure Project. You will be amazed. You may even come out of your ignorance. NO, I am not one of these aliens … as for as I know 😉 I was raised Roman Catholic, now fallen you might say. The only REAL thing that is scientifically proven to exist in this universe is ENERGY… NOT a GOD. There are many forms of energy… some we have not discovered yet. I CHOOSE to believe that LOVE is the best form of energy. Please give and receive LOVE everyday to everyone around you. Feel the love, its very tangible. Read the FICTIONAL book “The Celestine Prophecy” by James Redfield. Mind you it’s FICTIONAL, just as good as any Bible, Koran, whatever. But just as well as those ficitonal writings, it could change your life or your outlook on life in this universe. PEACE! LOVE ONE ANOTHER, KEEP HEALTHY. Wash your hands often. The writings of Papias of Hierapolis (fragmentary though they are), Polycarp of Smyrna and the letters written by Ignatius to church communities in Asia Minor on his way to execution at Rome at the turn of the 2nd century are also central to this question and tie in significantly with the mentions of the Lycus Valley (Laodocia & Hierapolis) in the New Testament. These show quite developed church communities in the region which were in communication with each other as early as the 70s AD and with possible contacts with the first generation Apostles such as Philip the Evangelist. I also agree that Asia Minor or even Phrygia, Galatia etc. should be used for the sake of accuracy. What does this short list of church digs have to do with the question being asked in the title? The first believers were called Messianics, not Christians. Yeshua is called the Massiah, not Christ. Christ & Christians, & Jesus-are gentile names. The gentiles didn’t come into it until about 20 yr. after Pentacost. Christianity became a religion for the gentiles after they kicked the Messianic Jews out, & took over, & made it theirs. It is sad that there are so many truly messed up people in this world. I am a Christian. I am a Christian because I believe in the birth, death on the cross and physical resurrection of the Lord Jesus Christ, the Tiferet spoken of in Hebrew prophecies. His physical body was home to the wandering Shekinah (or Spirit of God). Ultimately the only requirement to be a Christian is simple, as Christ Himself put it, “Believe in Me and be baptized for that is the whole of the law. Love God and love your neighbor as yourself.” That’s pretty much it. Everything else is tacked on by man. Not sure what was meant by “Christianity began after Our Lord’s death in 4 AD. Pilate was procurator in Jerusalem sometime around 26 AD so I think Jesus died after that. Some say 30 AD, others say 33 AD but surely later than 4 AD. As for Churches, yes, the Churches founded by Paul seemed to have met in house churches. My guess (stress guess) is that the number of mostly Gentile given community did not start out in large numbers in any one community. Jerusalem seemed to have a pretty large number of Jewish converts to Christianity and their community seemed to adopt the structure of Bishop, Presbyters and Deacons fairly early on. When Agrippa kicked Hellenist Jews (including Jewish Christians) out of Jerusalem, many fled to Antioch in Syria. There is evidence of a fairly large Christian community that developed there and an organized hierarchy followed soon after. Worship was held at times in catacombs, at other times in house Churches and at other times in public buildings. Much of that depended on time (where persecutions going on in that place at that time) and circumstances (how large or small was the community). We can learn a lot about early Christianity from Acts and from the writings of early Christians (the Didache, Ignatius the Bishop of Antioch, Clement of Rome, Justin Martyr, etc.) but there is still so much that we don’t know. I hope that Amos is right when he says that Godly records will always find their way to us. it’s amazing Godly records will always be found no matter how long it takes. 1) Early Christian communities celebrates the breaking of the Bread (Eucharist) in catacombs not “Private homes”. 1. If Jesus was God why did Marry need to give birth to him??? After all God created Adam without a mother or father could he not just appear on the earth as a man. Did he need to come through Marry! 2. If God was actually Jesus does that mean he died on the cross? if so who was mainting the world while he was dead???? It is absurd! God can never be seen as stated in the old testament he has now image, no shape or form. it also says in the new testament that Jesus came to reinforce the law not to bring new laws. if this is so how can the new testament go against the old testament??? 3. It states in the new testament that Jesus ate fish, he asked his companians to touch to see he has flesh. I was under the impression God maintained himself, he is the all powerful who needs nothing as stated in the old testament, if this is so why does the new testament state he needs to eat! These are standard question that anyone would ask about christianity. The gospels contain so many error how can it be the word of God. God does not make mistakes he is the creator! if someone told me this books states 1 and 1 = 5 I would question it as I have common sence. Please dont follow religion blindly. Lastly Christianity was spread through bloodshed through the Roman empire and the Crusaders if you look into its history it is very sad how they killed people to spread so called word of God! a myriad of witnesses, the Apostles and the disciples. In the presence of A man of God, The Holy Spirit, and the Word of God, the new body, set aside by God unto himself began to take shape. The Gospels and the Epistles should be studied in detail, especially Chapters 13,14,15, and 16. Without proper context, all else is pre-text. How old is Christianity? When did it stop being a Jewish sect and become its own religion? As reported in “Crossing the Holy Land” in the September/October 2011 issue of Biblical Archaeology Review, new archaeology discoveries of churches are crucial Biblical archaeology findings that help answer those questions. But when did Christianity begin to build these churches? Early Christian gathering places are difficult to identify because at first Christians met together mostly in private homes. Even as Christian populations grew, distrust and persecution by their Roman rulers forced the early church to stay out of the public eye. 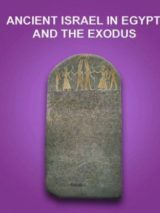 In the free ebook Paul: Jewish Law and Early Christianity, top Biblical scholars examine the controversial role of Jewish law and tradition in early Christianity. yo baby boyyy greeting young fellows! Lmfao, its like a atheist wrote some of this passage. Christianity started in 4 AD the following of the Lord jesus’s death. Anthony is also right though, it should be called asia minor not turkey because turkey had not yet been a full “Country”. Many stupid mistakes. It is erroneous to suggest or imply, as this article does, that the age of Christianity is according to the age of the oldest known places where they met to worship. Moreover, the Lord’s “church” is NOT the place where Christians lived, nor the structure in which they worshiped. Rather, CHRISTIANS THEMSELVES are the church. And “the faith which was once for all delivered to the saints” (Jude 3), and the practice of that faith, constitutes Christianity. This insidius practice of linking the age of Christianity to the oldest known place or structure where they worshiped, is FALSE to the core. Christianity began in the 1st century in Jerusalem on the day of Pentecost, ca. 30-33 C.E. (A.D.), and has existed continually ever since. Perhaps not always visibly in the eyes of the world because of times of extreme persecution, but wherever, and at whatever point of time, on this earth a disciple of Jesus Christ has lived and worshiped the Lord Christ, Christianity has existed. Christianity did not start in the 3rd or 4th century in Turkey or Greece or any other place. It began as stated above, and the divinely inspired and historic account of it is found in Acts 2. I think it would be more appropriate to use the designation Asia Minor and not Turkey. Nomenclature is not always interchangeable and is by no means unimportant.